The capacity crowd of approximately 300 participants includes a good mix of newcomers and old friends. 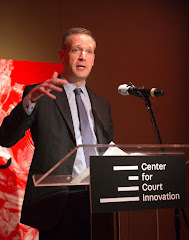 I was particularly gratified to see a good contingent of Center for Court Innovation alums on hand -- people like Derek Miodownik and Juli Ana Grant and Kate Krontiris who have gone on to greater glory but still have managed to stay involved with the world of court reform. When the Center is at its best, one of the things that I think we do well is bridge the worlds of theory and practice. The agenda for Community Justice 2012 was a good example of this: panels on nuts-and-bolts subjects like how to implement an effective community service program were mixed in with more academic material on the relationship between crime and place and the dimensions of procedural justice. 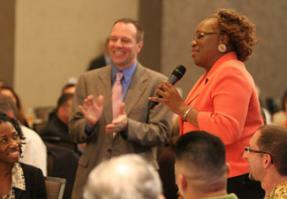 Last night, the DC court system and Target helped us host a reception for the attendees at the conference. As part of the event, we recognized the contributions of a number of folks, including longtime Seattle community court judge Fred Bonner, the founding team behind DC's East of the River community court, and Midtown Community Court judge Richard Weinberg who has recently been moved to a new assignment. From my perspective, the spirit at the conference was notably upbeat. Despite the general mood of austerity, which includes the current federal restrictions on food expenditures (which meant that we couldn't provide guests with coffee let alone a meal) and the reality that many local jurisdictions are having to make some hard budgetary decisions, there was a general sense of optimism in the room. 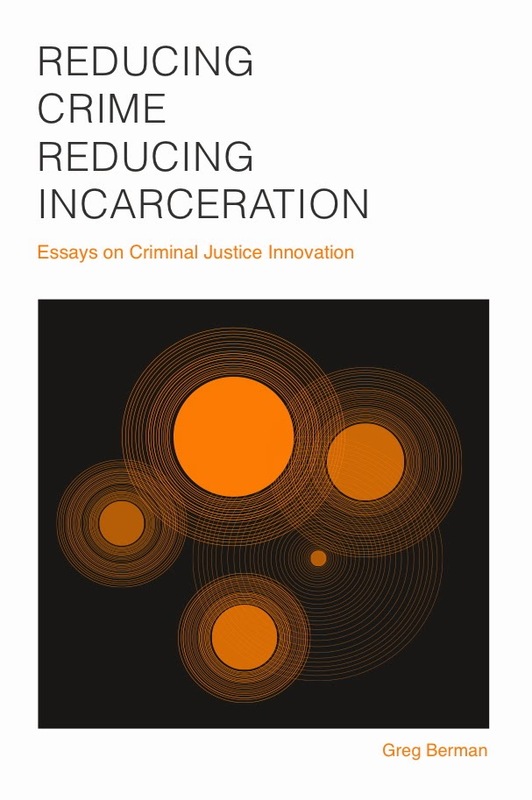 I think some of this may be attributable to the fact that the ideas that community courts embody -- treating defendants with dignity and respect, crafting meaningful alternatives to incarcerations, reaching out to local residents to bolster their confidence in government -- seem to be gaining traction in a lot of places. 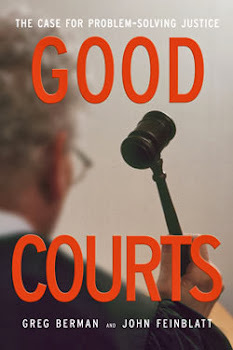 It is also worth noting that very few of the community courts represented at the conference are dependent on federal funding -- most are supported by state and local government. While we throw a lot of events during the course of a typical year -- trainings, roundtables, open houses, etc -- this conference is one of the biggest we have put together. Many different departments played a role -- communications, technical assistance, operations, research, etc. If you'll forgive me a paternal moment, I couldn't be more proud of the team. Julius Lang and everyone who works in community justice technical assistance deserve enormous credit for pulling off a complicated undertaking with grace, style and a minimum of aggravation.